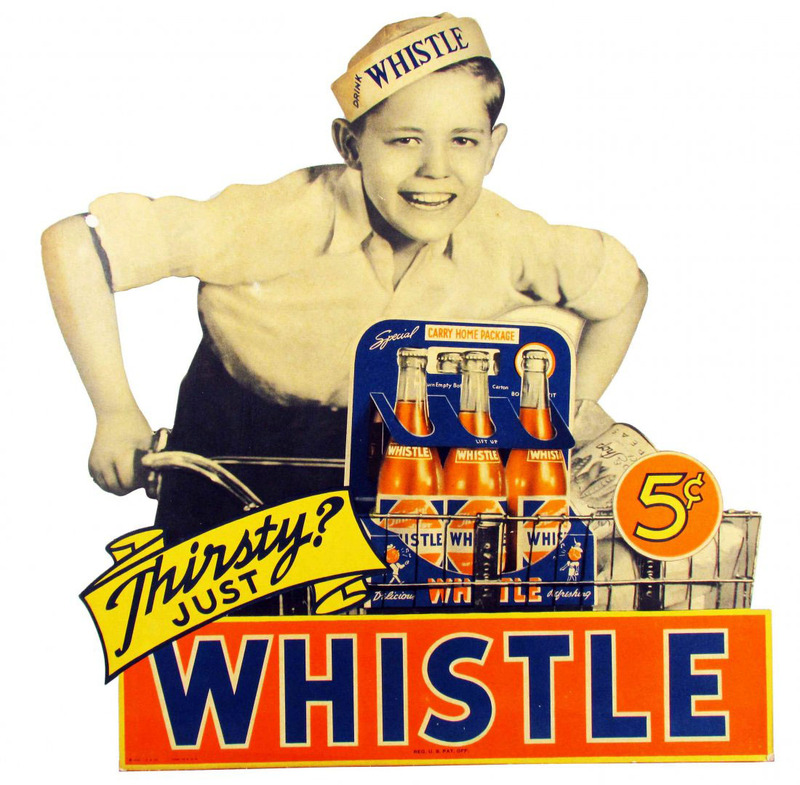 Circa 1940s, here are two fantastic cardboard cut-out advertising signs for Whistle Orange Soda. 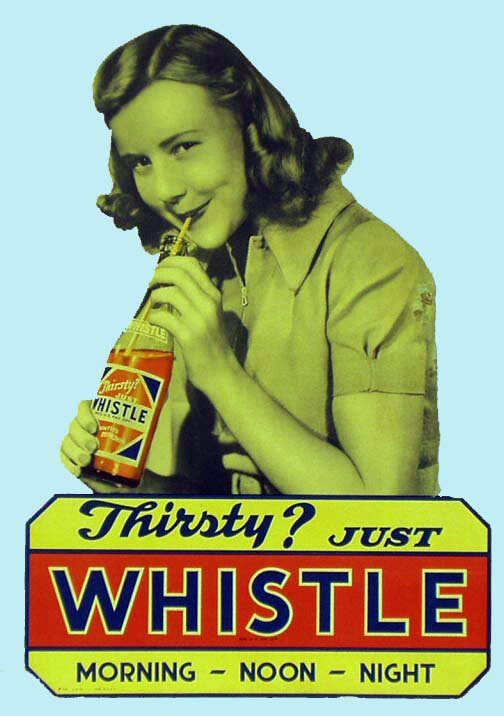 Whistle, a Vess Beverage Company product, was developed by a Vess salesman named Charles Leiper Grigg in 1919/1920. Grigg went on to invent what became 7 Up. As far as I can tell, both Vess sodas and Whistle are still being sold. Both of these signs feature the well known “Thirsty? 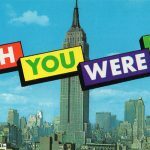 Just Whistle” tagline. The first one in particular is just so spectacular to look at.